1. What is CybSafe and what does it do? 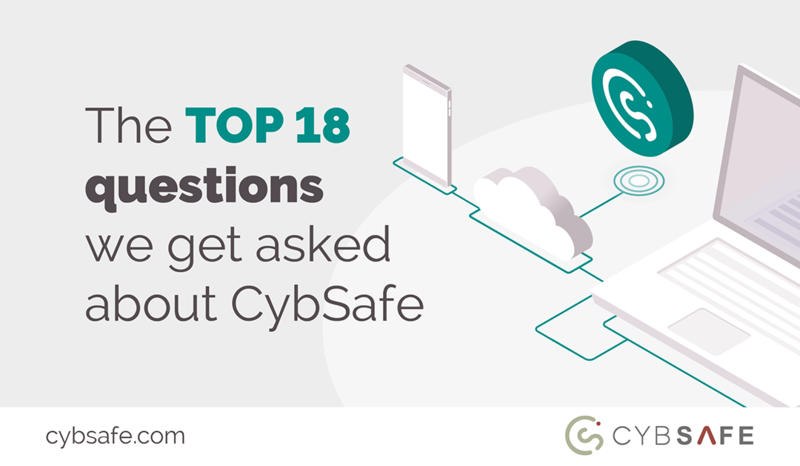 CybSafe is a cloud-based unified cyber awareness platform that demonstrably reduces human cyber risk as it relates to awareness, behaviour and culture. Knowing this, criminals often target people when launching cyber attacks. If people can spot attacks, they can stop them in their tracks. Conversely, if people fail to spot criminal attacks, the attacks can cause a great deal of financial, reputational and emotional damage. CybSafe helps everyone behave in a secure manner and spot more cyber attacks. In doing so, it reduces risk and increases your organisation’s cyber resilience. 2. How does CybSafe work? CybSafe is built on two foundational pillars: machine learning & advanced data analytics, and psychology & behavioural science. CybSafe first measures the security awareness, behaviours and culture of a group of people. It then implements interventions designed in collaboration with psychologists and behavioural scientists to improve all three of these areas. As time goes on, CybSafe continues to measure each area accordingly to help keep people safe online. 3. What do you mean by “intelligent” software? CybSafe harnesses advanced data analytics, AI and machine learning to learn about its users’ existing security habits. The CybSafe software platform then automatically evolves in line with the unique needs of your business. This is an extremely intelligent way of doing business and an impressive application of advanced technology. This is why we refer to CybSafe as an intelligent security awareness platform. 4. 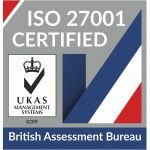 Is CybSafe different to other solutions? Most security solutions are designed to help you comply with laws and regulations, as opposed to reducing human cyber risk. As such, they seek to provide ‘training’ or ‘education’ and little more. Unfortunately, security awareness training alone has historically failed to change people’s day-to-day behaviours. “Cyber-aware” people routinely ignore security warnings and work around security guidance. CybSafe has been designed in collaboration with psychologists and behavioural scientists to advance not just security awareness but security behaviours and security culture, too. As well as aiding compliance, it reduces the chance of your organisation suffering a data breach. 5. How does CybSafe help with GDPR and regulatory compliance? In order to avoid the most severe fines associated with GDPR and other regulatory frameworks, organisations must be able to show they make a positive effort to avoid data breaches. CybSafe is a GCHQ-accredited means of reducing the risk of a breach. Implementing and using CybSafe is an easy way to demonstrate to regulators that positive steps are being taken to improve resilience and avoid breaches. 6. How do I get people to actually use CybSafe? CybSafe changes people’s attitudes towards security. Where security is currently seen as a burden, with CybSafe, it becomes a topic of importance. Content is delivered through a series of short, digestible modules which have been contextualised to instigate secure behaviours at home, as well as in the professional environment. This allow users to immerse themselves in the world of security at their own pace from whichever setting works best for them – whether at work, at home or elsewhere. To get the ball rolling, users are sent nudges linking everyday scenarios to course content. Users are able to interact with content and share things they think are important with friends and family, thus increasing engagement. Simulated attacks bring security to users, as opposed to waiting for users to act. And administrators have access to advanced analytics that show course progress and vulnerabilities, highlighting areas that may need extra support. 7. Can CybSafe be used by contractors, remote workers and my supply chain? CybSafe is based in the cloud. It’s designed to be accessible from anywhere, by anyone granted a license. CybSafe can be used by contractors, remote workers and suppliers – and its in-built analytics offer a means of checking supply chain cyber security. 8. Do I get access to analytics? Analytics are the backbone of CybSafe. They’re what allow the platform to develop an understanding of an individual’s existing security practices. Administrators have access to all the data generated by their organisation and can compare themselves anonymously to other companies within their sector. Analytics & Reporting dashboards enable CybSafe administrators to monitor progress and highlight vulnerabilities. In the same way software updates patch technological vulnerabilities, CybSafe analytics allow you to proactively address individual or departmental vulnerabilities before it’s too late. 9. How does CybSafe deliver an ROI? Reducing the likelihood of a data breach. Breaches cost money. By demonstrably reducing the likelihood of a breach affecting your company, CybSafe can save you from the costs of rectifying breaches, the financial outlay of compensation payments, the costs associated with rebuilding reputation and consumer trust and the loss in company value following successful cyber attacks. Potentially reducing the cost of cyber insurance premiums. Implementing Cybsafe can reduce cyber insurance premiums. Potentially reducing financial penalties in the event of a breach. Breaches happen, and regulators understand this. Following a breach, one of the things regulators look at is the preventative measures a company has in place. Implementing security awareness training demonstrates pro-active and precautionary steps were taken to avoid data loss. Helping to realise the ROI of technological defences. Technological defences cost money to implement – and expenditures are of limited use if users work around them. By educating people on the importance of technological defences (and also how to work with them, rather than against them), CybSafe increases ROI. Helping to win new customers. Consumers want to know their data is safe. Likewise, business customers are increasingly demanding their suppliers take security precautions during tender processes. The presence and use of a platform like CybSafe demonstrates your commitment to security, helping you win new business. Increasing engagement, interaction and uptake. Security awareness campaigns are designed to increase people’s information security engagement – but few campaigns allow CISOs to measure the change in engagement their campaigns bring about. CybSafe improves people’s engagement in security and, through CybSafe’s analytics, those running campaigns can see the tangible results of their investment. 10. What does CybSafe cover? To find out what the CybSafe platform includes, get in touch to arrange a free demonstration. 11. Can I get customised security training? Yes. We also develop custom security training specifically for customers with unique information security, data protection or privacy requirements and are happy to do so for our customers. 12. Does training vary between departments? Yes. As well as core content, departments subject to increased and unique risks (such as those in HR or finance) receive supplementary training to assist in fully contextualising relevant risks. 13. How are users tested? As testing aids the retention of information, CybSafe leverages testing to ensure course content is understood, retained and assimilated. New knowledge is tested with scenario based interactions, that invite users to piece together different bits of information they have learned to produce an answer. This process is not an exercise in comprehension, but one in which users are then prompted to self reflect on what they have learnt. Retained knowledge is tested through ongoing refresher tests, while behavioural change is typically measured through simulated attacks that take place live in the workplace. In both cases, testing takes place throughout the subscription period – fuelling CybSafe’s machine learning and further advancing security awareness, behaviours and culture. 14. Which industries do you work with? We work with customers across an extremely broad range of sectors. CybSafe customers include high-profile organisations in the retail, financial and legal sectors, however our pricing structure ensures CybSafe is as affordable for SMEs as it is for large enterprise. 15. How does pricing work? CybSafe is priced according to the number of users to be trained. You never pay more than is necessary for access to the platform. 16. How long will it take to get up and running? CybSafe is a cloud-based, software-as-a-service platform. No new technological infrastructure needs to be installed on site to get going and users can begin training from wherever they are (so long as they’re connected to the internet). As such, you can get started within days of partnering with us. 17. Does CybSafe support multiple languages? Yes. CybSafe customers currently span 11 different countries and CybSafe is now available in multiple languages. For an up-to-date list of the languages available, drop us a line. 18. What if I need support? Our customer success team are fanatic about ensuring you experience the full benefits of CybSafe. 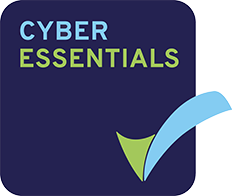 As well as proactively “nudging” users to begin, complete and refer back to, CybSafe’s customer success team who are available to talk to should you need support.